Credit cards can be a powerful, and convenient, financial tool. Likewise, credit card mistakes can become powerful financial adversaries. While there are some financial experts who don’t recommend using them, others prefer them for their convenience and benefits. 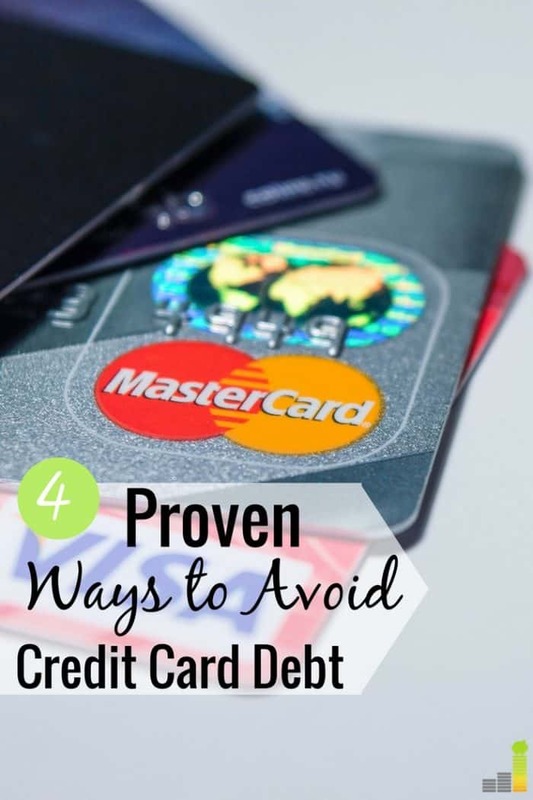 Regardless of whether you abuse credit or avoid it like the plague out of fear or ignorance, credit cards are an important reality of financial life and achieving financial independence requires learning how to use them properly. If you’re reading this, chances are good that you may have misused credit cards in the past. Even if you have committed all four of these credit card mistakes, don’t despair. You can start making new, healthy credit card habits right now. Financial health starts with understanding these four credit card mistakes and how to avoid them. When you get a credit card bill, you know you have to pay it. Still, there are many people who pay their credit card bills late, not realizing the impact it will have on their credit scores. Your payment history makes up 35 percent of your credit score. This means that if you’re more than 30 days late on a payment, it will have a much larger impact on your credit score than, for example, your credit mix. So, making a payment is extremely important to your long-term financial health. Remember, if your credit score is low and you’ve been late on several payments, you’ll have trouble securing a loan for larger purchases, like a house. Making your minimum payment on your credit card is better than not making any payments at all. However, at some point you need to get in the habit of paying your credit card off in full every month. Otherwise, the benefits you get won’t be worth the costs you pay in interest. Credit cards are legendary for having sky high interest rates. Right now the average credit card interest rate is between 15 – 20 percent, depending on whether your card is a travel card, cash-back card or business card. That means when you only make your minimum payment, you’ll be charged interest, which will compound over time, putting you further and further into debt. If you find that making payments are a challenge, look for ways to lower your interest rate. Doing so will save money on interest and help you pay off debt quicker. The best way to lower interest rates is to consolidate your debt into one payment. Check rates at Avant to see how much you can lower your rate. In many cases you can lower your interest rate by half, or more, helping you save money when trying to pay off debt. If you are in good standing with your credit card company, you can always call and negotiate the details of your agreement with them. If your bank won’t work with you, transfer your balance to a 0% APR card – here’s a list of cards to consider. For example, if you pay your credit card on time every month and you’re trying to become debt-free, you can ask them to lower your interest rate. They’ll usually agree, and if they don’t, you can always call back the next day and try someone else. So, don’t be afraid to pick up the phone and call your credit card company if you think it will help you get out of debt or improve your credit score. There is a right way and a wrong way to use rewards credit cards. If you plan your credit card rewards strategy just right, you can earn free trips and free flights. This is a great way to travel for free, or close to free, as long as you pay off your card in full every month. However, there are people who get excited about the potential rewards and fall into the trap of spending just to reach minimum spend requirements. When you spend more than you can afford for any reason, you can end up in a debt trap. So, before you even consider opening a rewards credit card, make sure you know how you will reach your minimum spend requirements. While you’re at it, ensure your minimum spend requirements don’t exceed what you would normally spend in a month. Ultimately, credit cards can be a convenient way to pay for items and earn rewards along the way. However, they aren’t for everyone and they can damage your credit score if you make some of the credit card mistakes mentioned above. The good news is that you can learn positive habits when it comes to credit cards and train yourself to be a disciplined spender. Once you do that, you can benefit from credit card rewards. What credit card mistakes have you made in the past? How do you balance using credit cards without going into debt? How do you balance using credit cards and earning rewards without adding debt? The post The Absolute Worst Credit Card Mistakes You Need to Avoid appeared first on Frugal Rules.